I tend to cook in aluminum pans to save time cleaning up. A fellow blogger Lauren, pointed out that aluminum is potentially toxic and also not Eco-friendly. She suggested cooking in Pyrex or glass roasting pans and lining the pans with parchment paper. So, at first my husband thought that it was wacky. But, over time he has come around with enthusiasm! I did some online reach, and I discovered that Pyrex isn’t the Pyrex that I grew up with. It seems as though Corning sold the business. Now the glass recipe is different and the glass pans are more likely to shatter if stressed by rapid temperature changes. So, based on my research I got a set by a French company, Arcuisine. They arrived this week. I just tried them out! Roasted carrots, parsnips and onions. 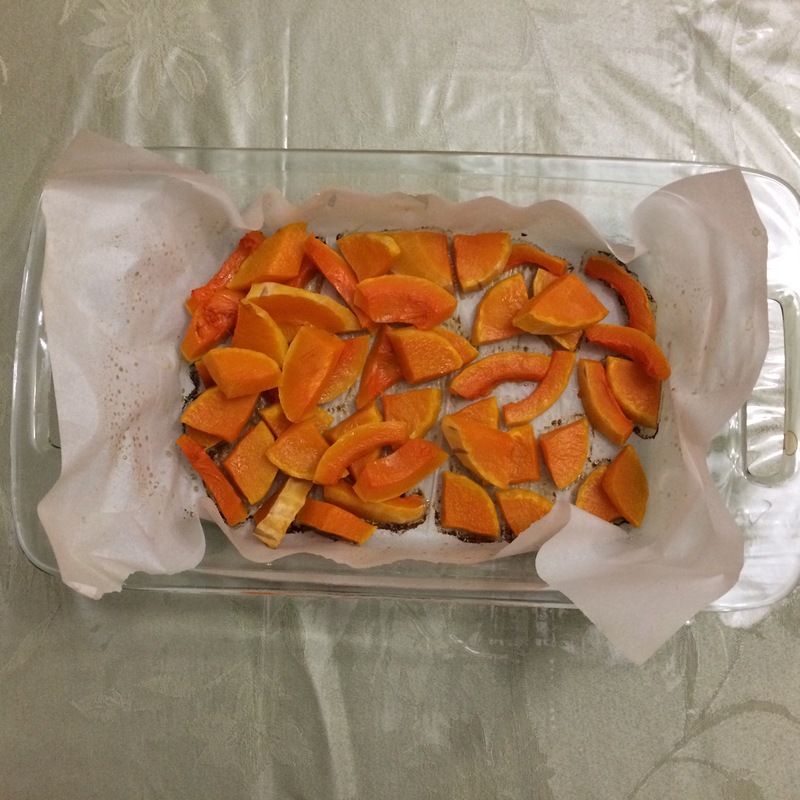 I lined the pan with parchment paper, spray oiled the paper and the vegetables and sprinkled salt. 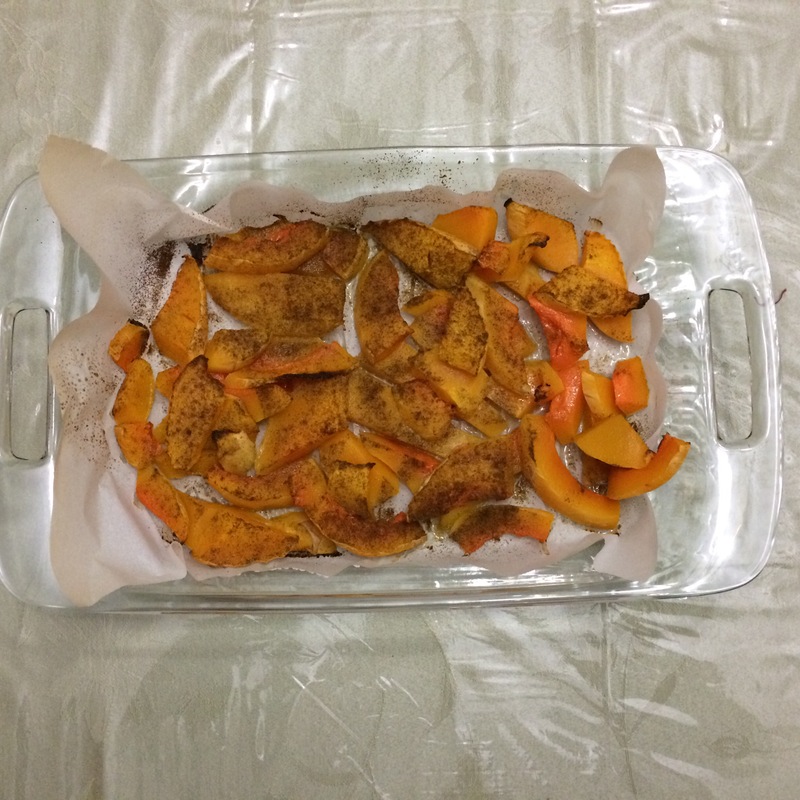 I also cooked butternut squash 2 different ways. I am happy to report that Lauren was right: lined with parchment paper, they are not too difficult to clean. 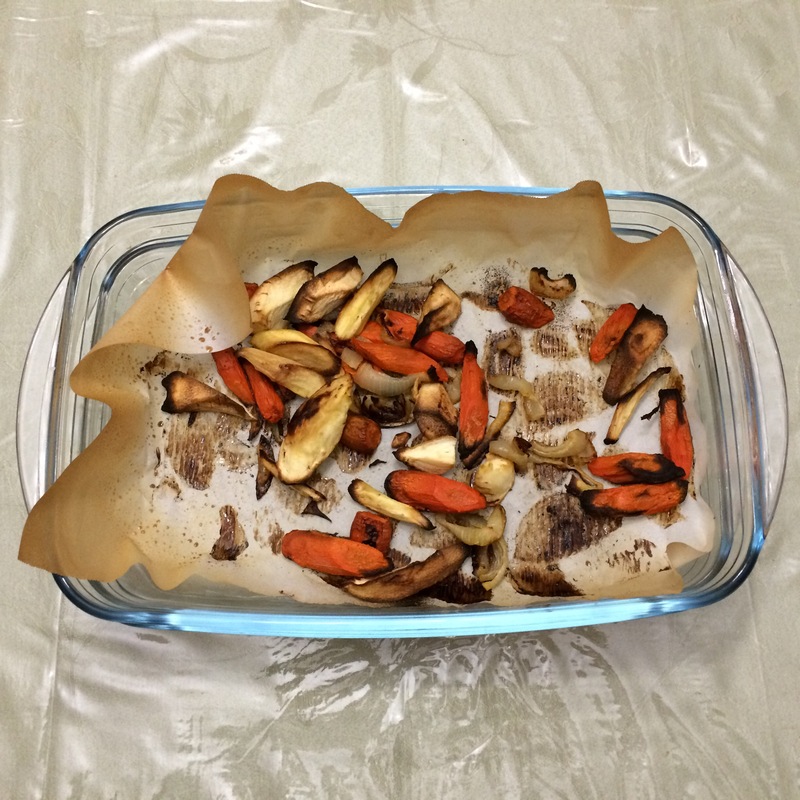 One caveat is that the glassware cannot be used for broiling. My husband is happier that we are cooking more healthfully too. They are great. Sadly, one of them broke during the move. But, since we are now in a smaller place, I am trying to see it as a built in downsizing opportunity. Looks great! I have to do it soon. I am on a roasting grilled vegetables kick. I love this feature on the stove! I had no idea about the pans. Now I’m scared to use mine. I can’t remember when I bought them. Thanks for the info! I’m still in shock about all of this. 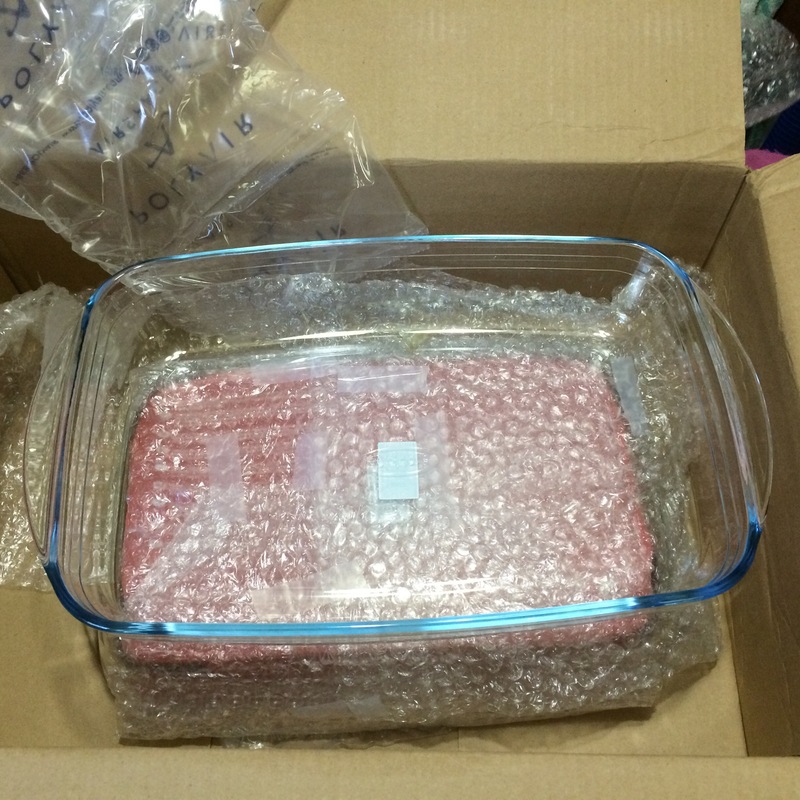 I only have glass baking dishes, and I can’t remember when I bought them. Could have been around 1998. Maybe I should switch to stainless steel, or look into the French brand that you bought. Do you know if old-school Corningware is safe to bake with? These were definitely from the 80s or 70s. Old school ones are OK. It is after it was sold that they changed the recipe. Yes! Easy clean up too. Hang onto them! They are irreplaceable! I had no idea until I started shopping around that exploding glass was such a problem! I’ve always like them but now I’ll be super-protective of them! Wow looks great and nice to know about the pans! Yes! Buyer beware! Who would have thought?